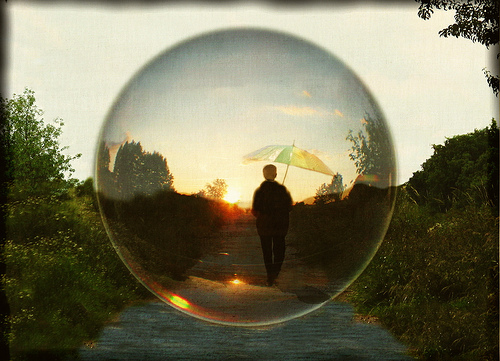 Our web experience: contained in a bubble. Is the web becoming too personal? Many people enjoy experiencing the Internet like a magazine, according to a NY Times article. See an example of a digital magazine that looks like a regular magazine. Is presenting content like a magazine a good way to view content? Or is there a better way? Why do people like this format? Our level of Internet use is not sustainable. This Social Media Explorer Article argues that we will spend less time online people will consume less but better content. How can we create and find the most creative, exciting, useful, inspiring and beautiful content on the web? Thanks for reading. More interesting questions next week. Get posts in your inbox so you don’t miss them. Or you can see all my digital media posts.